Shout! 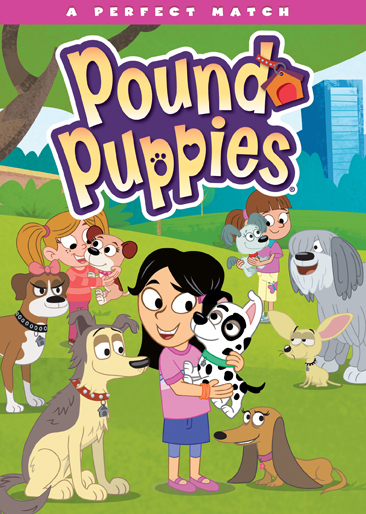 Factory Kids and Hasbro Studios will release yet another new collection of episodes from the hit children’s series Pound Puppies next month. Shout! Factory Kids will release the latest addition to its kid friendly Transformers series Transformers Rescue Bots this Tuesday, February 10th. Transformers Rescue Bots: Jurassic Adventure is the sixth of the series’ collections released by Shout! Factory Kids and Hasbro Studios. Five previous collections having already been released, it is common sense that this DVD is just as worth the watch as the series’ previously released compilations. The central reason that it proves to be just as worth the watch as its predecessors is the collection of episodes chosen for the single-disc presentation. Six more episodes have been culled for the set starting with the series premiere “Family of Heroes.” The set also pulls in a second episode from Season One in the form of “Return of the Dinobot” that presents a Dinobot unlike anything most audiences know of from the Transformers’ previous incarnations. There is also a two-part episode from Season 2 and a pair of stand-alone episodes also from Season 2 to complement. All six episodes together make for plenty of enjoyment for Transformers fans of all ages. The same can be said of the writing behind each episode. Whether in the series premiere, the included two-part episode from Season 2, or for the remaining pair of episode, the writing in these episodes is to thank for their enjoyment. And last but hardly least worth noting of these episodes is work of the series’ all-star cast. Veteran actors LeVar Burton (Star Trek The Next Generation, Reading Rainbow, Captain Planet and the Planeteers), Jason Marsden (The Fairly Oddparents, The Garfield Show, Batman: The Brave and the Bold), and Mauriche LeMarche (The Simpsons, Futurama, Animaniacs) are joined by the likes of Parvesh Cheena (Outsourced, Sean Saves the World, A To Z), Steve Blum (Digimon: Digital Monsters, The Boxtrolls, Cowboy Bebop: The Movie), and Elan Garfias (Handy Manny, Chowder, Ni Hao Kai-Lam) among other names. And the interpretation of the episodes’ scripts rounds out the reasons that these episodes are so enjoyable. Regardless of the cast members’ level of experience, nothing but professionalism was shown in each episode, making easier suspension of disbelief and in turn the overall enjoyment of the episodes. By itself, the work of the cast in each of these episodes makes for its own level of enjoyment among audiences. Together with the work of the series’ writers and those charged with assembling the episodes, all three elements make Transformers Rescue Bots: Jurassic Adventure a great adventure for Transformers fans of all ages. Transformers Rescue Bots: Jurassic Adventure is not the first collection of episodes that Shout! Factory Kids has released from Discovery Family’s family friendly update on Hasbro’s classic franchise following everyone’s favorite robots in disguise. It is however a fully enjoyable collection of episodes. It is a fully enjoyable collection both for those that are and those that are not so familiar with the series. The central reason for that enjoyment is the collection of episodes pulled for the DVD. Regardless of audiences’ familiarity with the series, every one of the series’ fans finally gets to see how the series started thanks to the inclusion of its premiere episode to open the whole thing. Audiences also get to see the writers’ vision of at least one of the legendary Dinobots as well as other early adventures of the Rescue Bots. The collection in whole offer loads of action and laughs for Transformers fans of all ages. The episodes by themselves offer loads of action and laughs for the whole family. That is thanks to the adventures that make up each episode. Keeping in that vein, the writing behind each of the episodes is to thank for making each episode so enjoyable. The writing that went into each of the episodes on this DVD is just as noteworthy as the episodes themselves in considering what makes it so enjoyable. One way in which the writing proves so important is in the series’ premiere episode “Family of Heroes.” Audiences will note in this episode that at least one of the Rescue Bots—Heatwave—is not instantly fond of being on Earth. As a matter of fact, he would much rather take a mission on another planet than deal with humans who want to control them. Obviously they aren’t really trying to control the Rescue Bots. And eventually, Heatwave overcomes his mistrust as Cody and his family prove that they can be trusted. Yes, it’s a tried and true story element used in so many other series and movies. But especially in the case of this series, it’s interesting to see that things don’t start out with a full-on “happy-happy-joy-joy” vibe for the Rescue Bots or for the humans in terms of their relationship. It is just one example of why the writing in these episodes makes them so enjoyable. The writing in the two-part episode “What Lies Below”/”What Rises Above” is another good example of why the writing behind the episodes makes them so enjoyable. It could even be argued to be the best example of the disc’s episodes in terms of its writing. That is because of the amount of material that went into the episode in whole. Chief Burns and his brother Woodrow (voiced here by Mark Hamill—Star Wars, Batman: The Animated Series, Codename: Kids Next Door) have to come to terms with the tensions built between them ever since their childhood. At the same time, Heatwave exhibits his own personal growth as the leader of the Rescue Bots as he and Optimus Prime work to get back to the others and get out of the volcano. At the same time, the writers pay tribute to Jules Verne in this episode as a hidden prehistoric world is discovered along the way. Through the whole story, none of the noted elements overpowers the other. The end result is a story that easily keeps viewers fully engaged, wondering what will happen next. The writers’ tackling of myths in “In Search of the Griffin’s Nest” and the classic theme of AI becoming sentient (and dangerously so at that) in “Movers and Shakers” is as enjoyable as any sci-fi story. 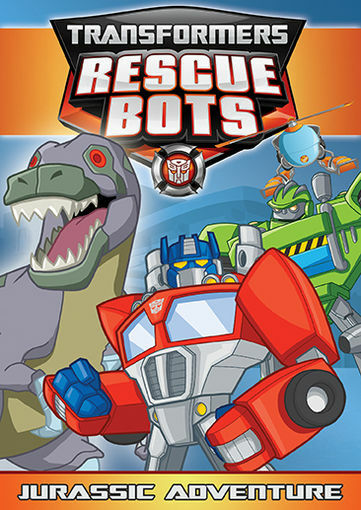 Whether for the solid work on the DVD’s included two-part episode, the series’ premiere, or even that in “In Search of the Griffin’s Nest,” the writing behind the episodes included on Transformers Rescue Bots: Jurassic Adventure shows time and again why it is so pivotal to the overall enjoyment of the DVD. Together with the episodes selected for the compilation, both elements strengthen even more the argument in favor of this latest addition to the series’ already-released compilations. The episodes tapped for inclusion on Transformers Rescue Bots: Jurassic Adventure and the writing behind each episode make a strong argument in favor of this new DVD. The work of the series’ voice cast is just as worth mentioning in the overall enjoyment of these episodes. From the series premiere to the episodes that followed, the chemistry and professionalism between the cast is obvious. Considering the cast’s collective years of experience, that should come as no surprise. That’s especially the case with lead stars Jason Marsden and Mauriche LeMarche. Marsden, who voices lead character Kade Burns, and LeMarche, who voices Kade’s father Chief Charlie Burns, breeze through their roles. The same can be said of fellow veteran LeVar Burton as he voices supporting character Doc Greene. Even young Elan Garfias (Cody Burns) impresses in his own right. While Garfias might not have the years of experience as Burton, LaMarche, and Marsden, he still shines as the voice of Cody. He handles his role in every episode with the ease and professionalism of a seasoned veteran. And together with his older, more experienced co-stars–including those not noted here–the group as a whole proves to be the perfect choice for each role. The choices paid off in spades, too with each cast member alone and together keeping viewers just as fully engaged with its work as the stories behind each episode. It is the last part of the DVD’s whole that makes it so enjoyable for Transformers fans of all ages. Together with the work of the show’s writers and those tapped to select the DVD’s episodes, all three elements together show in full why Transformers Rescue Bots: Jurassic Adventure is yet another great collection of episodes from what is one of the greatest incarnations of the Transformers. The latest compilation of episodes from Hasbro Studios’ Transformers Rescue Bots is another great collection for any fan of this kid friendly series. The compilation, which was released last Tuesday, September 2nd, is especially well-timed considering the proximity of its release to Halloween. That is primarily because of the five episodes featured in the disc. The episodes presented on this disc offer their own not so scary stories that are still a good fit for any child’s Halloween party. For those that might be new to this series (like this critic), said audiences will also appreciate the series’ animation. Being another product of Hasbro studios, it should come as no surprise that the series’ animation plays a role in its enjoyment, too. And last but not least of all worth noting in the overall presentation is the series’ list of voice talents. The actors charged with putting a voice to the series’ characters are largely well-known figures. They are figures that have quite the resume when it comes to animated programs, children’s programs, and sci-fi shows, too. Some have experience in all three realms, making their acting all the more believable and in turn enjoyable. The combination of those experienced voice talents and the series’ animation and writing makes Transformers Rescue Bots: Mystery Rescue just as enjoyable for those that are new to this series as those that are more familiar with the show. Transformers Rescue Bots: Mystery Rescue is the fifth compilation of episodes from the Hub network’s hit children’s series. The compilation was released just last week in stores. Its timing could not have been better taking into account its episodes and the fact that Halloween is a little more than a month away. The episodes collected for this compilation each present their own not so scary but still entertaining story for kids at their Halloween parties this year. The DVD opens with a mystery that sees everyone in Griffin Rock suddenly disappearing after a horde of robotic bugs infests the town. It’s up to Cody, his friends, and the Rescue Bots to solve the mystery. The second episode sees some “ghosts” suddenly appearing. It turns out though, that things aren’t always what they appear to be when Cody and the Rescue Bots investigate the “hauntings.” There’s even a little twist that parents and kids alike will like, regardless of whether or not they are believers. “Spellbound” is the third episode chosen for the DVD. One could argue that this episode lifts lightly from Stephen King’s novel Cell as cell phones are being used to take over the minds of the Griffin Rock’s citizens. This is an especially enjoyable episode not only for this reason, but for its emphasis on caring for the environment. “Blame The Gremlins” is another great addition that parents and children will appreciate as it offers its own frightful fun. When Cody’s big brother Kade (voiced by Jason Marsden) starts having nightmares about gremlins, those nightmares become reality and invade Griffin Rock. Parents that are familiar with Rod Serling’s original Twilight Zone series will appreciate the subtle homage to the episode “Nightmare at 20,000 Feet” in this episode. One could even argue that there’s a subtle reference to a certain gremlin from Warner Brothers’ beloved Looney Tunes franchise. “Feed The Beast” closes out the DVD with a little tale of Griffin Rock’s own version of the legendary Sasquatch. As with the discs other episodes, it offers its own frightful fun for younger viewers. All of the episodes together will keep young viewers fully engaged from start to finish. Of the stories included on this disc are not enough enjoyment by themselves, audiences that might be new to Transformers Rescue Bots will appreciate the fact that the episodes are kid friendly. They don’t have the level of violence and deep, thought provoking material that makes up the original Transformers franchise or any of its offshoots over the years. It makes for a fun and safe way to ease younger viewers into the Transformers universe. It could be argued that to that extent, it actually takes a page from the likes of Tiny Toon Adventures, The Flintstone Kids, Taz-Mania and others that came from that era. That’s because while many critics came down hard on the series, the reality was that they were in fact a way to slowly and gently bring younger viewers into the likes of Looney Tunes, The Flintstones, Scooby–Doo and other classic franchises. To that extent, the very concept of this franchise makes the writing all the more valuable and enjoyable to the overall presentation that is this latest compilation. The writing that went into the episodes on this DVD makes them (and the franchise in whole) a joy for both children and adults. Its mix of family friendly stories and its more grown-up pop culture references will make watching them as a family a fun time. And especially today, families need as much time as possible together. It’s not all that makes this collection enjoyable, either. The series’ animation also makes the episodes presented here fun, too. 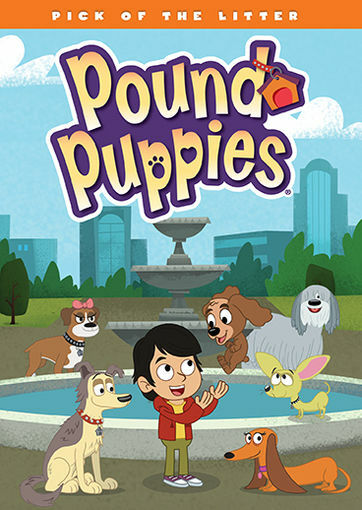 Audiences that are familiar with Hasbro Studios’ properties will find it no surprise that this series’ animation bears a somewhat similar animation style to that of both Pound Puppies and Littlest Pet Shop. It is safe to suffice that the same individuals charged with crafting the artwork for those series were also behind Transformers Rescue Bots, too simply by watching these episodes. Even with its similarities to those series, it does bear its own identity apart from them. The differences lie mainly in little things like the contours of the characters and the backgrounds and even the coloring. Other than that, this series’ animation lies in the same category as those others from Hasbro Studios already noted. Even as similar as its animation is to those series, it still is nice to see animation today that can look so much like it was hand drawn instead of all of the cookie cutter CGI shows out there for younger audiences today. It’s just one more part of what makes this new DVD so welcome in any family’s DVD library. The animation in Transformers Rescue Bots: Mystery Rescue and the writing in its episodes together make this latest collection of episodes welcome in any family’s DVD library. The last factor to note that makes it such a welcome addition to any family’s library is the series’ list of voice actors. Those behind the characters in this series are no strangers to voicing animated characters. The cast includes Jason Marsden, Kath Soucie, Levar Burton, Mauriche LaMarche, Tim Curry, Diamond White and so many others. While their episodes are not included in this DVD, Mark Hamill (Star Wars, Batman The Animated Series) and Danica McKellar (The Wonder Years) even offer their talents in a couple of episodes, too. Having such a who’s who of actors lending their talents to this series is a tribute to its popularity and the popularity of the Transformers franchise in whole. Jason Marsden is known for his work on Nickelodeon’s The Fairly Odd Parents and as the voice of Nermal in Cartoon Network’s The Garfield Show. He has worked on a number of other series and movies, too. These are just a couple examples of his body of work. Kath Soucie and Levar Burton both worked together on Captain Planet and the Planeteers early in the 1990s. Soucie is also known as the voice of Phil and Lil DeVille in Nickelodeon’s beloved Nicktoon Rugrats. Not to omit Mauriche LeMarche or Tim Curry, the resume of these two actors could fill pages and pages. Needless to say they are quite the well trained and well-respected actors. And having them on this series’ cast is quite the statement. Newcomer Diamond White has already started building up her own resume with voice acting credits including work on Disney’s Phineas and Ferb, and Sophia the First. She also plays the role of Sophie in Nickelodeon’s teen-centric series The Haunted Hathaways. Needless to say, the cast that was tapped for the roles in Transformers Rescue Bots more than did its job with this latest collection of episodes. Their years of training and experience helped them to interpret each episode’s script and in turn make it each story all the more enjoyable. The end result is a collection of episodes that the whole family will enjoy again and again while they wait for the next collection of episodes from this surprisingly entertaining show. The A-list voice cast tapped to voice the characters in this latest collection of episodes from Hub’s Transformers Rescue Bots goes a long way toward validating it and the series in whole. Parents will note the celebrities’ names and want to check out the actors’ work for themselves. They will also appreciate some of the subtle pop culture references thrown in for good measure in some of the episodes included on the DVD. Kids will enjoy the animation and stories in general. All things considered, there is a lot that makes Transformers Rescue Bots: Mystery Rescue a hit for the whole family. So much in fact that it could potentially end up on this critic’s list of the year’s best new DVDs for children and families. It is available now in stores and online. It can be ordered direct from Shout! 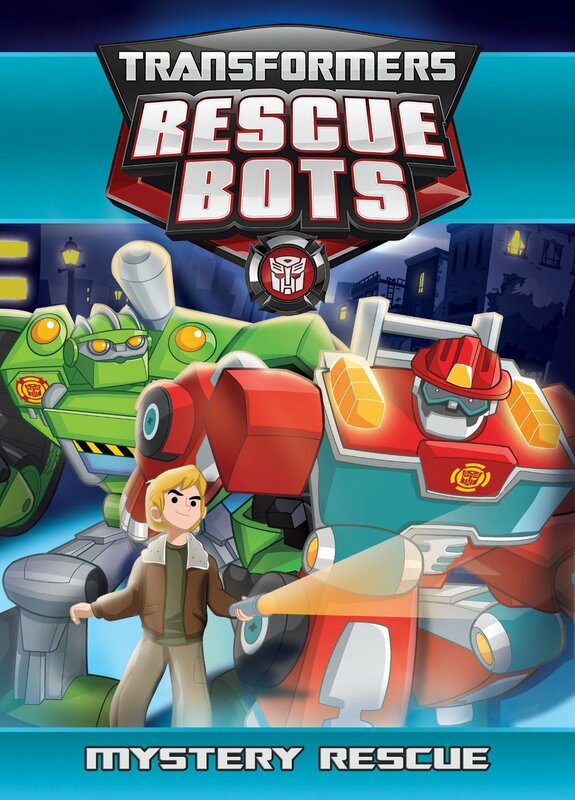 Factory’s website at https://www.shoutfactory.com/kids/kids-animation/transformers-rescue-bots-mystery-rescue. More information on this and other releases from Shout! Factory is available online now at http://www.shoutfactory.com and http://www.facebook.com/shoutfactoryofficial. To keep up with the latest sports and entertainment reviews and news, go online to http://www.facebook.com/philspicks and “Like” it. Fans can always keep up with the latest sports and entertainment reviews and news in the Phil’s Picks blog at https://philspicks.wordpress.com. Nickelodeon and Shout! Factory have announced that the companies will release Hey Arnold! : The Complete Series on DVD box set later this month. Hey Arnold! 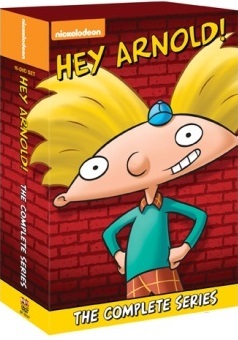 : The Complete Series will be released Tuesday, August 19th on DVD box set from Nickelodeon and Shout! Factory. The box set comes on the heels of the recently released fifth and final season of the classic series. The new sixteen-disc set will retail for SRP of $29.93. Hey Arnold! features a who’s who list of voice talents across its ninety-nine episode. Among some of the series’ more notable voice talents are: Dan Castellaneta (The Simpsons), Francesca Smith (Disney’s Recess), Toran Caudell (Disney’s Recess), Jamil Walker Smith (Stargate: Universe), Jim Belushi (Life according to Jim, The Blues Brothers), Tress MacNeille (The Simpsons, Futurama, Tiny Toon Adventures, Animaniacs) and many others. More information on this and other releases from Shout! Factory and Nickelodeon is available online at http://www.facebook.com/shoutfactoryofficial and http://www.shoutfactory.com. To keep up with the latest sports and entertainment news and reviews, go online to http://www.facebook.com/philspicks and “Like” it. Fans can always keep up with the latest sports and entertainment news and reviews in the Phil’s Picks blog at https://philspicks.wordpress.com. Nickelodeon’s programming today is comprised largely of live action sitcoms aimed at teen viewers. 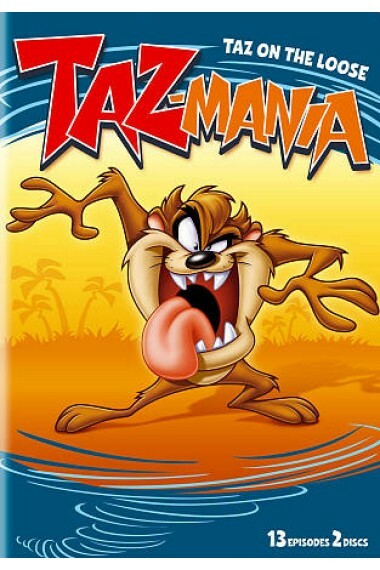 However, from the early 1990s up until the mid-2000s, the network was known more for its vast array of cartoons. It’s “Nicktoons” were its heart and soul. While Nickelodeon does have some cartoons today, the network’s sole remaining real Nicktoon is Butch Hartman’s hugely successful series Fairly Oddparents. Fairly Oddparents is a standout series, too. Interestingly enough, it isn’t his first series to have the honor of being added to Nickelodeon’s list of beloved Nicktoons. His first notable “Nicktoon” was the short-lived supernatural series Danny Phantom. Now thanks to Shout! Factory and Nickelodeon, fans of Danny Phantom will be able to own the complete series in one box later this month. Danny Phantom only ran for three seasons. In its defense, it could be argued that this was because it was ahead of its time. That aside, series creator Butch Hartman and his writers crafted a number of enjoyable episodes throughout the show’s short run. Just as worth noting about this new upcoming box set is that is alleviates some minor problems raised in the box sets containing the series’ second season. Lastly, those that know their Nicktoons history will appreciate the voice talent that made up the series’ cast. That who’s who of voice actors combined with the enjoyable stories, and the fact that they are all available together for the first time collectively make this upcoming set well worth picking up for any Danny Phantom fan. Fans of Danny Phantom: The Complete Series will appreciate this new complete series set first and foremost because it presents the series’ entire three-season run in one complete box set. Nickelodeon and Shout! Factory have already released three complete series sets from Aaahh!!! Real Monsters, Rocko’s Modern Life, and The Angry Beavers. Those sets proved to actually take up far less space on DVD racks than the stand-alone season sets that had originally been released. This set is no different. All nine discs that make up all three seasons are included in this box. Shout! Factory and Nickelodeon have sweetened the deal even more for fans in that they have maintained the established wise packaging that was used in the aforementioned complete series sets. The discs are placed inside the box on either side of their own “insert” with the ninth and final disc being placed in its own spot inside the back of the case. As with the previously noted box sets, this protects the discs and allows the episodes contained within each one to be enjoyed much longer. It is the starting point of what audiences will appreciate about Danny Phantom: The Complete Series. The packaging for Danny Phantom: The Complete Series is a good starting point in discussing everything that makes this box set well worth its price. The episodes contained across the set’s nine total discs make the presentation as a whole even more enjoyable. It would be easy to say that because its main characters were high school students, Danny Phantom was just another program aimed at audiences of the same age. To a point, it could be seen how teen audiences would take an interest in the series. Case in point, one of the series’ story arcs involved a potential inter-racial romance between Danny and black classmate named Valerie Gray (voiced by Cree Summer—The Cosby Show, Clifford The Big Red Dog, Codename: Kids Next Door, etc.). It really is a sign of the times that the show’s writers would include this without making a big fuss over it, either. It is a subtle, but nice addition to the series. There are also the constant struggles to balance trying to be a regular teen with being a superhero. But the jokes that are tossed in each episode aren’t above some younger viewers, either. So while teens might have been the primary audience, younger viewers would have obviously enjoyed the show, too. The same applies to today’s teens and pre-teens, too. The packaging and writing that make up Danny Phantom’s episodes are collectively a big part of what makes the series so enjoyable even for today’s younger audiences. There is at least one more aspect of the series’ new set that audiences will appreciate in examining the presentation as a whole. That aspect is the series’ voice cast. The series’ primary cast reads like a who’s who of voice acting. It has already been noted that veteran voice actress Cree Summer is part of the primary cast (even though she doesn’t come into play until the second season). Along with Ms. Summer, Grey DeLisle (The Grim Adventures of Billy & Mandy, Clifford The Big Red Dog, Clifford: The Puppy Years, Fosters Home For Imaginary Friends, etc.) Kath Soucie (Futurama, Captain Planet and the Planeteers, Beauty and the Beast, etc. ), Rob Paulsen (Animaniacs, Teenage Mutant Ninja Turtles, The Adventures of Jimmy Neutron: Boy Genius, etc.) and a whole slate of others each play roles in the series. Fans will also recognize the voices of Ron Perlman (Sons of Anarchy, Pacific Rim, Hellboy & Hellboy II), Martin Mull (Roseanne), and the man who is perhaps the busiest male voice actor in the business, one Frank Welker (Curious George, The Real Ghostbusters, Scooby-Doo Where Are You, etc.) Jon Cryer (Two and a Half Men), Taylor Lautner (the Twilight saga), and the late David Carradine even make appearances throughout the series among so many other big names. If the massive list of A-listers that play roles in Danny Phantom isn’t reason enough to check out the new Danny Phantom: The Complete Series box set, then one need only set that alongside the enjoyable writing and the equally wise packaging to see just how worthwhile this set is for kids and kids at heart. It will be available in stores and online Tuesday, January 28th. It can be pre-ordered online now from the Shout! 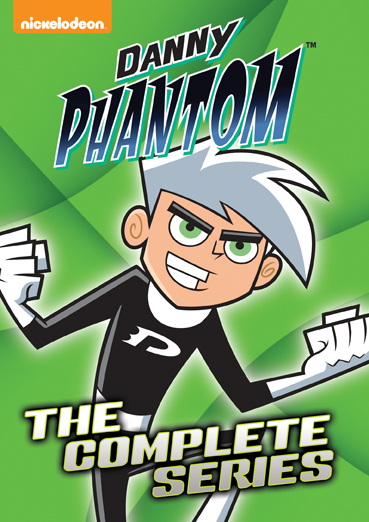 Factory store at http://www.shoutfactory.com/product/danny-phantom-complete-series. More information on this and other releases from Shout! Factory is available online at http://www.shoutfactory.com and http://www.facebook.com/shoutfactoryofficial. To keep up with the latest sports and entertainment reviews and news, go online to http://www.facebook.com/philspicks and “Like” it. Fans can always keep up with the latest sports and entertainment reviews and news in the Phil’s Picks blog at https://philspicks.wordpress.com.